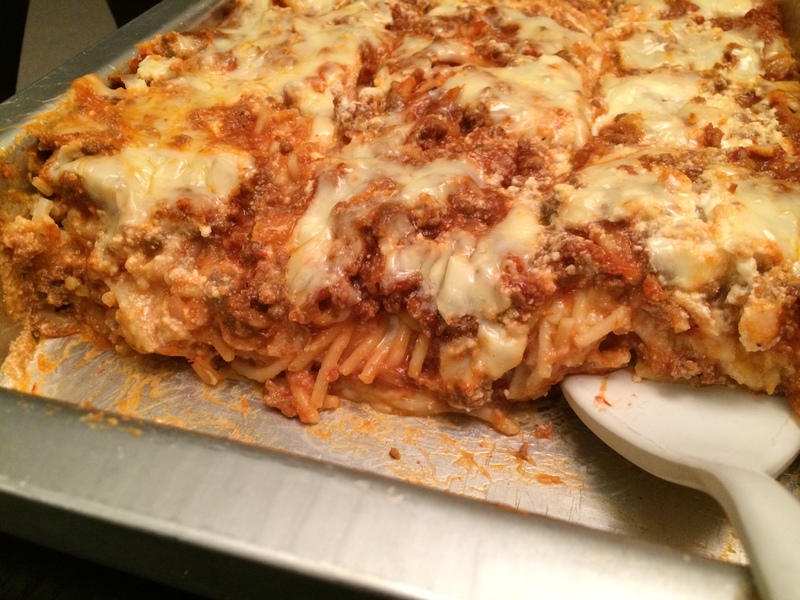 If you love spaghetti and meat sauce, you’re going to love this baked spaghetti recipe. It’s super easy and great for families with young kids. I often make lasagna when I have guests over, but recently decided to try this new spaghetti recipe and it went over well. Enjoy! Cook spaghetti according to package directions. Meanwhile, in a large skillet, cook beef, onion and garlic over medium heat until meat is no longer pink; drain. Stir in spaghetti sauce, seasoned salt and Italian seasonings. In a large bowl, whisk the eggs, Parmesan cheese and butter. Drain spaghetti; add spaghetti to the egg mixture and toss to coat. 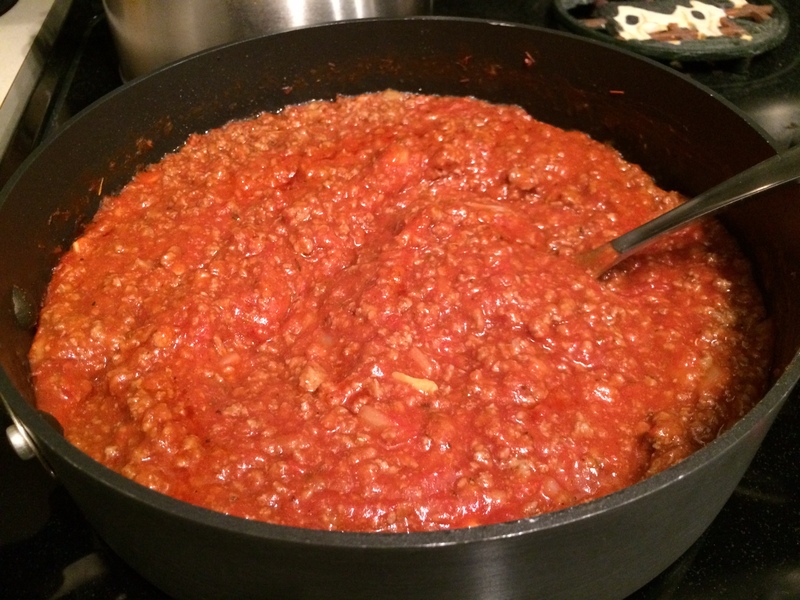 Place half of the spaghetti mixture in a greased 9×13 baking dish. 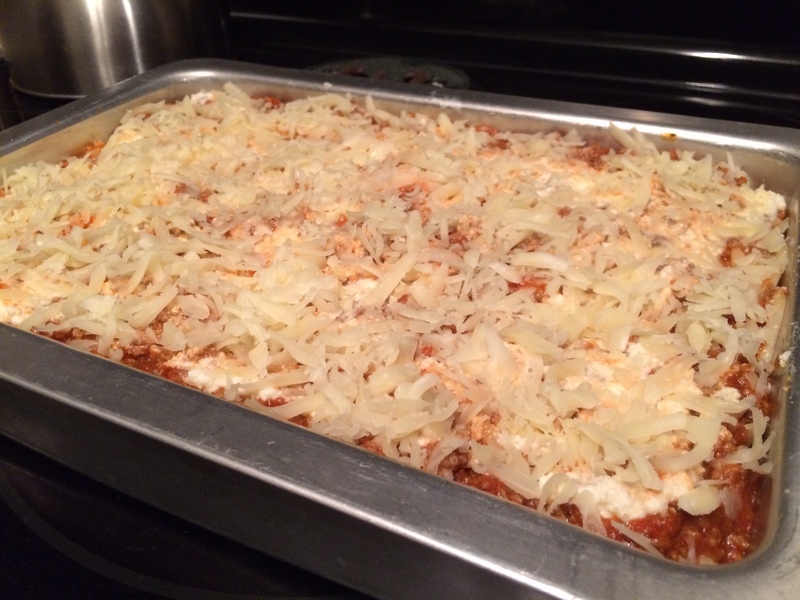 Top with half of the ricotta cheese, meat sauce and mozzarella cheese. Repeat layers. Cover and bake at 350° F for 30 minutes. Uncover and bake for 10 minutes longer or until cheese is melted. 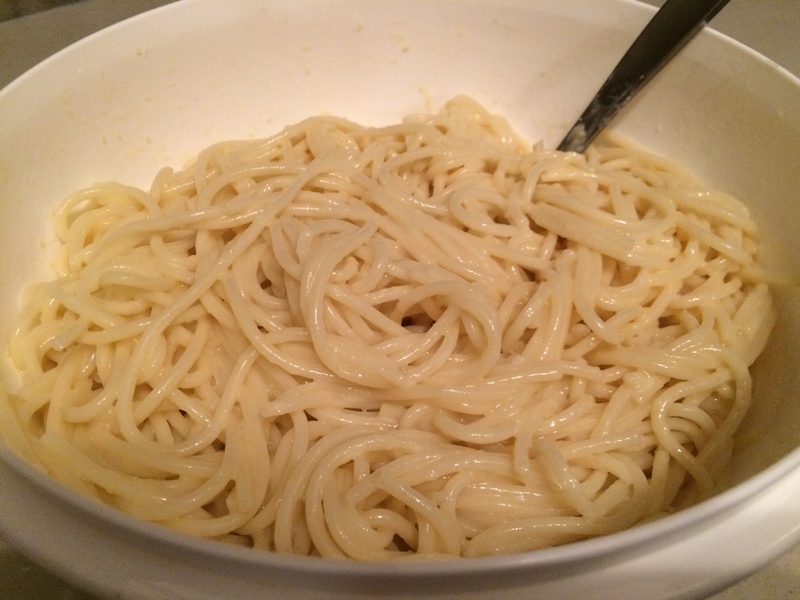 Spaghetti mixed with eggs, butter and cheeses. The layers in the pan. I must try this. Our family has been crazy about spaghetti and crockpot meatballs in sauce recently so I am sure they would love this. Definitely going to try! My spaghetti is so boring!